School Food Punishment (???? ??? ??????? ?, Suk?ru F?do Panisshumento) was a four-member Japanese band. They were signed onto Sony Music Japan's Epic Records Japan record label prior to their breakup in June 2012. The lyrics of each of the band's songs were written by lead vocalist and guitarist Yumi Uchimura. The band was formed on October 2004 by Uchimura, while their first live performance took place in December of the same year. In 2007, their debut album, school food is good food, was released. In 2008, both of their songs, "feedback" and "Futari Umi no Soko" were featured as theme songs to the Japanese television drama Joshidaisei Kaikeishi no Jikenbo, while their mini-album "Riff-rain" was released by Tower Records and sold out in under a week. They also performed in numerous live concerts, including FM802, part of the Minami Wheel 2008 live event, and the J-Wave Live event, part of the Tokyo Real Eyes Live Supernova. In 2009, they signed onto their first major record label, Sony Music Japan's Epic Records Japan division. Their major label debut is "futuristic imagination", which is the ending theme to the Kenji Kamiyama anime television series Eden of the East, airing on the highly rated noitaminA timeslot on Fuji TV. Amongst their first projects was contributing to Judy and Mary's 15th Anniversary Tribute Album, in which they covered the band's "Brand New Wave Upper Ground" song, with their performance praised by sources such as The Japan Times as having been the highlight of the album and having evoked Judy and Mary's songwriting and musical values. In 2012, the band announced that it would be going on an indefinite hiatus. The band said the decision came as a result of discussions between the four members. On June 11, 2012 School Food Punishment announced that they had broken up due to vocalist Yumi Uchimura having left the band. Following the dissolution of School Food Punishment, Yumi Uchimura joined the band la la larks known as successor of School Food Punishment. keyboards, organ, electric piano, composer. bass guitar, backing vocals, composer. He joined the band in 2008, after scope (he left in 2002) and Watanabe (he left in 2004), etc. He joined the band in 2007. At first, he worked at two different bands, this band and Current of air (it Stopped the activity in 2008). bass guitar. He left the band in 2008.
drums. He left the band in 2007. 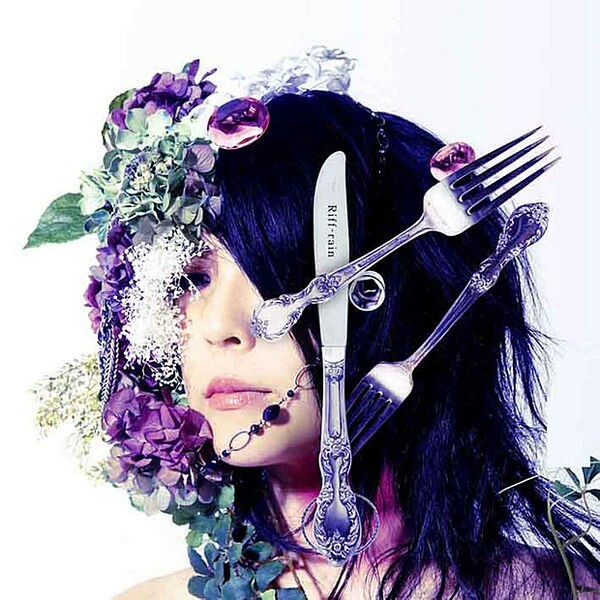 All lyrics written by Yumi Uchimura, all music composed by School Food Punishment. futuristic imagination (May 27, 2009) #35 with 1st week sales of 4,165? Ending theme to the Fuji Television noitaminA anime television series, Eden of the East. Main theme for the first Eden of the East film, The King of Eden. "future nova" is the opening theme and "after laughter" is the ending theme to the second Eden of the East film, Paradise Lost. Ending theme to the Fuji Television noitaminA anime television series, [C]. Opening theme to the Fuji Television noitaminA anime television series, Un-Go. "feedback": Opening theme to the BS-i television drama Joshidaisei Kaikeishi no Jikenbo, 3rd Annual Toho Shinemazu Gakusei Eigaisai image song. "Futari Umi no Soko": Ending theme to the BS-i television drama Joshidaisei Kaikeishi no Jikenbo. CD-extra: Music video to "pool". pool: Ending theme to the Kansai TV television series Bari-san ver. 2.0. CD-extra: Music video to "you may crawl"
Performed cover of "Brand New Wave Upper Ground".